What is the future of battery materials and construction? Batteries have the potential to more efficiently power our portable devices, fuel our vehicles, and disrupt the way the electric grid works. But advances in battery technology have been slow to respond to the power demands of modern life. Moore's Law sees computer chips double in performance and drop their price by 50 percent every 18 to 24 months. But batteries adhere to much slower experience curves that typically see them double in performance perhaps every ten years. The stubborn refusal of battery materials to yield in price and size explains the high cost of electric vehicles and grid storage. While venture investors usually look for order-of-magnitude technological improvements in other sectors, VCs have invested in battery startups with performance improvement promises of a mere 1.2X. Liquid Metal Battery, a company pursuing a breakthrough battery design, has attracted Bill Gates and oil company Total as seed investors. The inventor of the core technology is Don Sadoway, MIT Professor of Materials Chemistry, one of the school's most popular professors and most sought-after speakers. Using seed money from within MIT, Sadoway and his team invented the liquid metal battery or, more academically, a process called Reversible Ambipolar Electrolysis. The battery uses molten antimony and molten magnesium separated by an electrolyte. Sadoway claims that the all-liquid configuration is self-assembling and is expected to be scalable at low cost. 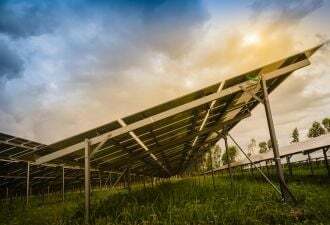 Furthermore, this technology may have a shot at being cheaper than sodium sulfur (NaS) batteries. This battery is intended for large-scale electrical grid applications. The Ionex Energy Storage System is a 1-megawatt-hour unit using large-format prismatic batteries based on lithium iron phosphate (LiFePo4) and capable of producing 1 megawatt or 2 megawatts of continuous AC power from a 40-foot shipping container weighing 35,000 kilograms. The container can be mounted on a concrete pad or on a wheeled trailer. A123 (NASDAQ: AONE) builds nanophosphate lithium-ion batteries and systems for the transportation, electric grid, and commercial markets. The corporate revenue mix is 50 percent transportation, 40 percent grid, and 10 percent consumer. That might not have been the original vision set forth in A123's initial business plan -- but business plans have to change when business environments change. Stealthy battery startup Amprius raised $25 million in a round led by Kleiner Perkins, with VantagePoint, IPV, Trident, Google's Eric Schmidt, and Stanford University. The firm is using a silicon nanostructure to replace a carbon anode system in batteries. The CEO, Kang Sun, claims that silicon has "an intrinsic energy density ten times higher than carbon." He called Amprius "late science stage, early engineering stage" and noted that the firm's technology is four times better than current technology. The company started in 2008 with a mission to make anodes and advanced materials that it would sell to established manufacturers. Leyden Energy claims it can improve performance, reduce costs and boost safety by changing some of the basic ingredients in batteries. The Fremont, California-based company produces lithium-ion batteries with an electrolyte based around a family of salts called IMIDE. Most other batteries use PF6-based electrolytes. The company claims that Leyden's batteries will have the performance of lithium cobalt batteries, the kind found in notebooks, with the safety levels found in lithium phosphate batteries. Other startups -- Planar Energy, Sakti3, Prieto Battery -- and large companies such as Toyota have begun work on solid state batteries. 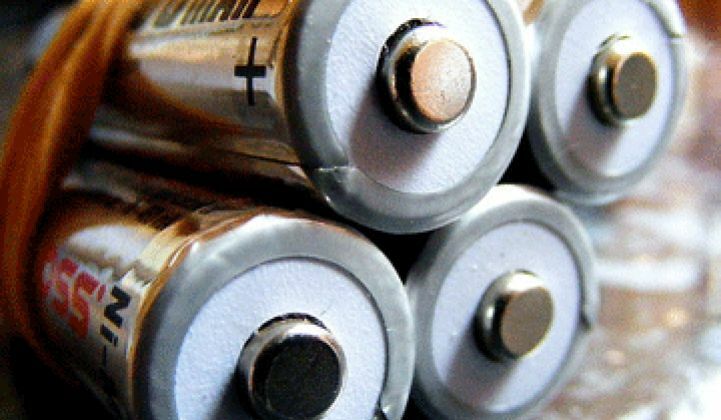 In these batteries, the electrolyte is a solid, resulting in a safer, longer-lasting battery that takes up less volume than a standard battery. Battery startups still have to compete against giants like LG Chem, Sony, and Panasonic -- all formidable rivals. But the potential payoff is multi-billion dollar markets and new applications on our wires, roads and gadgets.